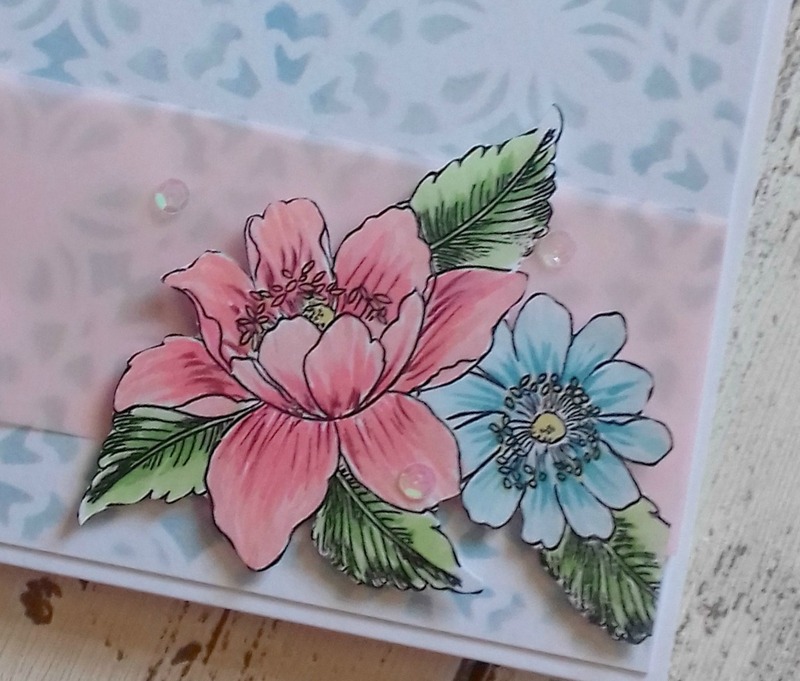 Home is where the craft is.....: Does every card need a sentiment? Today I am asking you for your opinions, I recently made a card and was caught up in the moment and didn't think about where I would put a sentiment. Here's a closer look at the flowers I stamped and coloured with Altenew's Garden Treasure and Artist markers. I still can't decide if it's fine as is or if I should take the plunge and add a sentiment, so please comment below and give me your thoughts. It's a lovely card, just as it is. I often don't add a sentiment - though sometimes it's easy to add one somewhere if you decide you want to later. Thank you, I think I'll add one, It may come in handy for an occasion where a sentiment isnt needed. This is lovely. Sometimes a sentiment wouldn't fit in so not all the time. I very rarely add a sentiment on the cards I make. I'm in the habit of always having a sentiment but I just couldn't find a natural place or sentiment for this card. 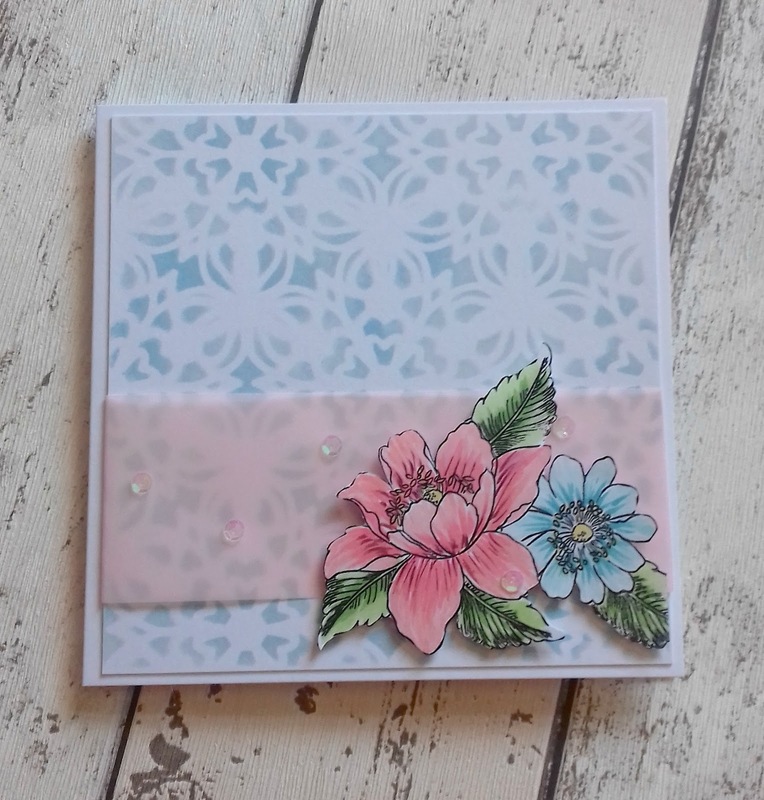 Forgot to mention.... love this card - its beautiful - with or without a sentiment - you choose! !